Dan was a world-renowned author and speaker whose motto was “No one should die with a book inside them.” So many of us are published authors thanks to his 1979 book The Self-Publishing Manual — a guide that encouraged and taught writers how to navigate the process long before self-publishing became the far more accessible phenomenon it is today. An aviation professional who began his career with the management of a parachute company in California and went on to design parachutes, Dan’s first self-publishing adventure was one that followed his passion: He had written a technical treatise on parachutes that he was pretty sure no publisher would want. And just like that, Dan was a publisher. A passionate and skilled skydiver (not one to shy away from adventure, he skydived into the North Pole — a first for the world — and cheerfully admitted to breaking an appalling number of bones from parachuting and skydiving), Dan penned the 1972 books The Parachute Manual: A Technical Treatise on the Parachute and Parachuting: The Skydiver’s Handbook, which are seen by many as cornerstones of skydiving literature. Then he went looking for a book on hang gliding. He couldn’t find any. So he wrote one. One hundred thirty thousand copies later, it’s still in print. 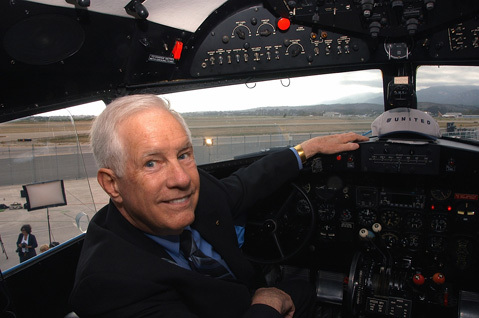 A recent comment from one of his skydiving buddies shows what a pioneer he was in aviation: “Dan Poynter influenced parachute riggers worldwide not just in technique but in minute-to-minute decisions regarding quality and safety.” His contributions were formally recognized in 2012 when he was inducted into the National Skydiving Museum Hall of Fame. Whatever Dan experienced became a book. Over the years, through his company Para Publishing, Dan wrote more than 130 books on topics ranging from self-publishing to Frisbee throwing to air travel. And he was in constant demand as a self-publishing consultant. He was a founding member of the Publishers Marketing Association (now called the Independent Book Publishers Association), which honored him in 1992 with its Benjamin Franklin Person of the Year Award for Lifetime Achievement. Dan knew about self-publishing because he’d done it all, even shipping from his home and garage warehouse. He wrote the book on how to create a booth at a book fair. Dan was an expert on promotion, as well, speaking at media and public relations breakfasts and presenting book-publishing weekend seminars at his hilltop home, at which I gave public relations tips. Dan and I were a team in the 1980s and friends during his life in Santa Barbara. He wrote; I promoted. And when you followed his advice, you too became an author. His bookshelves overflowed with books that he had made possible. My late husband Robert Muller’s books were self-published thanks to Dan. For authors, even if it was five in the morning, Dan was always just a phone call away. Even though everyone was his friend on the phone, Dan loved his privacy. It gave him more time to write. He also loved holidays and used Thanksgiving and Christmas to revise and update his books. I think his Self-Publishing Manual had 16 revisions. From my garden I see Dan’s palm trees, and I will always remember our talks, including one meeting around his kitchen table when the Global Ebook Award was born. We held the inaugural Global Ebook Awards dinner at the Santa Barbara University Club. Dan looked great in a tuxedo. We should all be so lucky to leave a legacy as rich as this nonstop author-publisher did. His accomplishments are myriad. Thank you, Dan. You were a true pioneer, and your impact will long be remembered around the world. You were one of a kind. A memorial service will be held Friday, January 15, 2016, 2-5 p.m. at Bragg Foods, 199 Winchester Canyon Road, Goleta. For more info, call (800) 446-1990. Patricia Bragg, a close friend for more than 40 years, will be among the many blessing Dan’s memory.